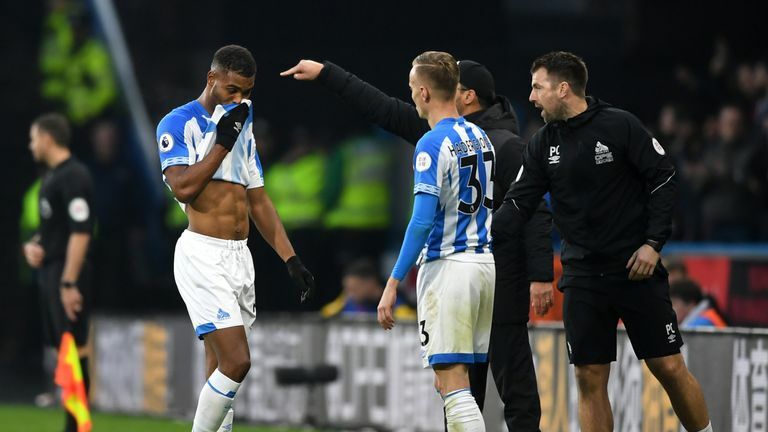 Huddersfield's appeal against Steve Mounie's red card given in Saturday's 2-1 defeat to Brighton has been rejected by the FA. Terriers head coach David Wagner confirmed earlier on Monday that they would be challenging the decison, but after being unsuccessful in their attempts Mounie will serve a three-game ban. 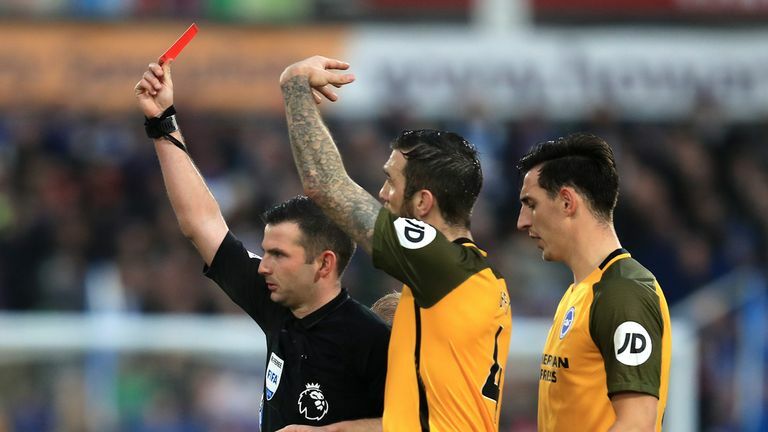 He said: "We appealed Steve Mounie's red card. I've seen the video footage and still have the same opinion I had after the game." After the game, Wagner described the decision send the striker off for his challenge on Yves Bissouma as one of several "big mistakes" made by referee Michael Oliver on Saturday at the John Smith's Stadium. Following the game, Wagner said: "If it's a red card then the challenge on Erik Durm is one as well from my point of view, clear holding on Pritchard which is a penalty and a red card, it was a clear chance in front of the goal.